Community News: What Will Happen to Glen Abbey Golf Course’s Heritage Designation? Glen Abbey Golf Course might be turned to a residential and commercial area soon if ClubLink succeeds in taking away its heritage designation. ClubLink, the company that owns the Glen Abbey Golf Course, filed an application in late December 2018 wanting the Ontario Superior Court of Justice to take away the heritage designation of Glen Abbey Golf Course. Oakville councilors promptly took action and unanimously voted to fight against the ClubLink assailment on Glen Abbey’s heritage designation. 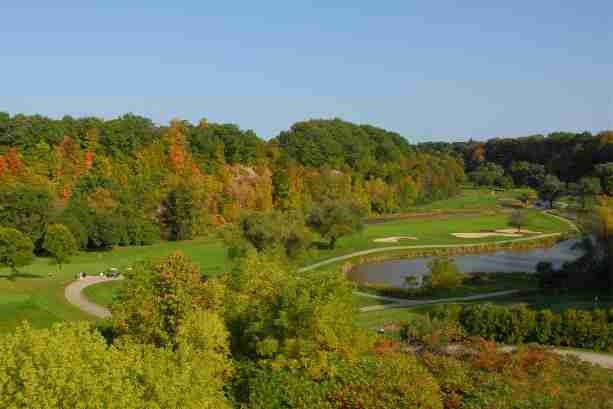 Oakville Council designated Glen Abbey as a heritage site in 2017 to prevent the beloved golf course to being developed into commercial and residential space. Oakville Mayor Rob Burton says that the council believes they made the right decision and are willing to fight to keep the golf course. Fraser Damoff says that it is a fact that Glen Abbey is a heritage site, stating that Glen Abbey has everything that defines a heritage site and that it surpassed the minimum requirement for a place to be recognised as a historical site. Glen Abbey Golf Course officially became a property of cultural interest or value on December 20, 2017, under the Ontario Heritage Act. Mayor Rob Burton says that an identified heritage property has some protection from alterations. This is supported by a lot of groups and communities within Oakville but put a stop to ClubLink’s plan to build 107,000 square feet of office space, 3,222 residential units, and 69,000 square feet of commercial/retail space on the property. ClubLink pointed out that their plan will leave out 54% of the area as publicly accessible green space. That’s 50.11 hectares of green space not turned into houses and buildings. Oakville residents have voiced out concerns that they are worried about possible traffic congestion and loss of green space in the future should ClubLink’s plans push through. Oakville Town staff chimed in and said that ClubLink’s proposed development of the Glen Abbey Golf Course will (possibly) create problems because it will turn the golf course into an unplanned growth area. It is to be noted that the Glen Abbey Golf Course was identified as a priority property under the Town’s cultural heritage strategy in 2016, a strategy that seeks to protect and preserve local heritage icons. The town sought out Julian Smith, of Julian Smith and Associates Architects to give a thorough analysis of the Glen Abbey property’s cultural heritage value. Smith reported that Glen Abbey is one of the most notable works of golf legend Jack Nicklaus and is a huge part of Canada’s golf history as the favorite destination for the Canadian Open. He also called Glen Abbey a landmark that is recognised not just in Oakville and within Canada, but also abroad. Mark Flowers, ClubLink’s lawyer, said that the heritage attribute used by the Town to denote Glen Abbey as a heritage site is vague and overreaching. He also stated that the Town used the Ontario Heritage Act improperly to impose their ideas on how the site will be used in the future, adding that sustaining the property as a golf course is costing ClubLink $2 million a year. It is not yet clear what the future of Glen Abbey Golf Course will be. One thing is for sure and that is the fact that Oakville is a town that protects its history and values how important it is for residents to have a green community for a better quality of life. Contact us if you’re planning to buy your own dream home in Oakville!